One Monday night a few weeks back, a boat set sail down the River Clyde. Free whisky and bawdy auld songs ensued, courtesy of Aidan Moffat and his band of bards – James Graham (the Twilight Sad), Jenny Reeve (Bdy_Prts) and Stevie Jones (Alasdair Roberts). The pop-cruise launched Where You're Meant To Be, a Scottish musical road trip and tour that has since seen them traipse from Faslane Peace Camp to Lewis via Edinburgh and Aberdeen, playing ceilidh-style gigs along the way. Part of the Glasgow 2014 Cultural Programme, their adventure will become a feature-length film from award-winning film-maker Paul Fegan. An exploration of our oral traditions and national identity, WYMTB heralds a startling new body of work from Moffat, who has reanimated the trad-folk canon, populating it with 21st century characters and backdrops. 'The first thing I wrote for this was actually three or four years ago,' Moffat recalls. 'It was for me and James from the Twilight Sad – I really wanted to do something with his voice, he's got a beautiful voice.’ He does indeed and, as with all the performers, this project casts new light on his talent. It also offers a sense of escape for Moffat. 'I'm not really writing about me for this, which is a welcome break,' he offers. 'Actually, let me clarify that – I'm always writing about me, but it's not specific to my life right now. It's these stories and songs through the prism of me. I even tried to cut down the swearing, but these songs are basically from pretty hard working class areas, and you can't write about that in modern language without swearing, it's impossible – it's part of our culture, and nature. 'Most of these old traditional songs are hilarious too,' he continues. 'They're all about getting pished and having a laugh and riding. There's a lot of riding.' He sounds right at home. Barrowland, Glasgow, Sat 17 May. Free tickets available via aidanmoffat.co.uk; the film will premiere in late August. 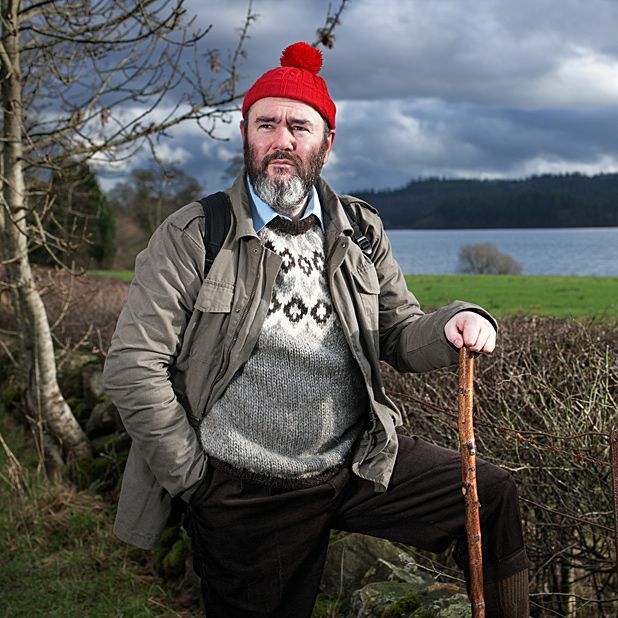 The former Arab Strap frontman embarks on a celebration of Scotland's musical and oral traditions, featuring folk sagas, drinking songs, bawdy ballads, bruised laments and probably some old songs too. A collaboration between lo-fi pop raconteur Aidan Moffat (Arab Strap) and filmmaker Paul Fegan as they tour Scotland documenting their journey.